At New Roots Organics, we are aware that many of you are interested in having more organically delicious items delivered right to you. We currently offer just a limited amount of groceries, listed in this section, so please take the opportunity to enjoy them! We are very interested in expanding our product line along your desires, so please email us with any product requests that you can think of to customerservice@newrootsorganics.com. "Emily is a granola fanatic with decades of experience in nutrition and the natural food industry. Her brother-in-law, Chris, is a classically trained chef with a focus on flavor and exotic taste combinations. After Chris sampled some of Emily's homemade granola, they discovered a shared passion for this humble and under-appreciated super-food. 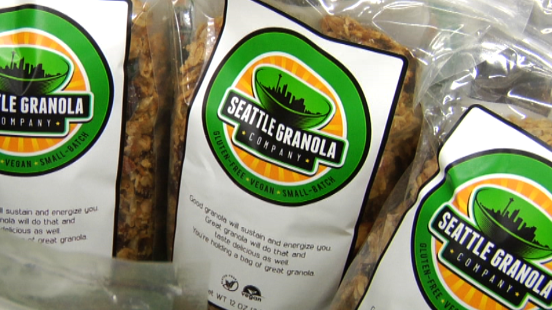 So, after years of discussion, hundreds of test batches of granola, and the prodding of family and friends, The Seattle Granola Company was born. We believe that when food tastes good and is good for you, then you'll feel good about eating more of it." "Here at Pipitone Farm, we have been growing the highest quality Organic fruits and vegetables since 1978, and processing them for our customers year around use since 2000. All of our Fruits and Vegetables are picked at their peak of ripeness, as they are all grown within 100 yards of our kitchen door. So there is no shipping or transport required. Along with our 34 years of Organic growing experience this allows us to produce the finest flavor and nutritional quality." 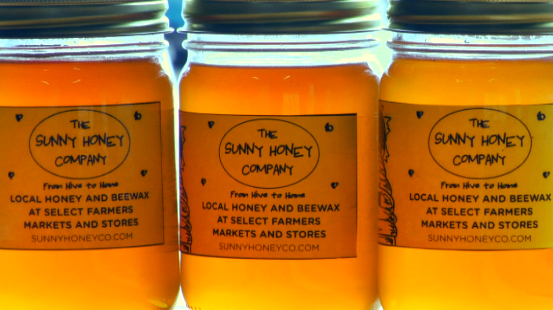 "Our hives are located in and around four different certified organic vegetable an berry farms in Whatcom County, as well as three distinct Seattle area neighborhoods." "Sunny Honey wants to look at beekeeping in the Northwest as a long term study, building ourselves year after year with stronger, healthier, more disease and mite-resistant bees...NATURALLY! We use absolutely no chemical treatments and never EVER feed HFCS to our bees. Good old fashioned labor-intensive, small scale beekeeping is our game!" 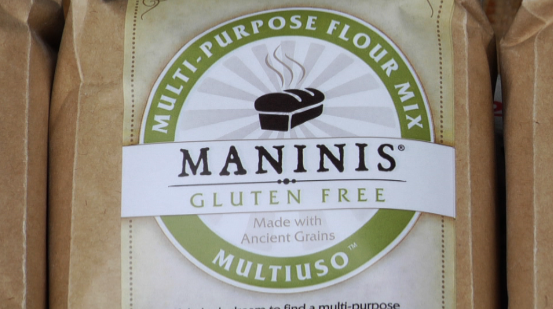 "MANINIS® Gluten Free is a manufacturer of rice-free, certified gluten-free mixes based on ancient grains for commercial and home bakers. MANINIS® manufactures pasta and breads made from our mixes for distribution. MANINIS® mixes overcome the common challenges of many gluten-free products, mainly taste, texture and nutrition. MANINIS® Gluten Free is the next generation gluten free." 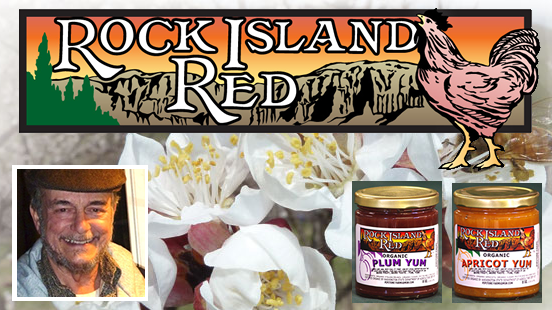 "Sky Valley Family Farm is a 4th generation, single-family farm located in Startup, WA. Our products are pasture based and our fields are certified organic." 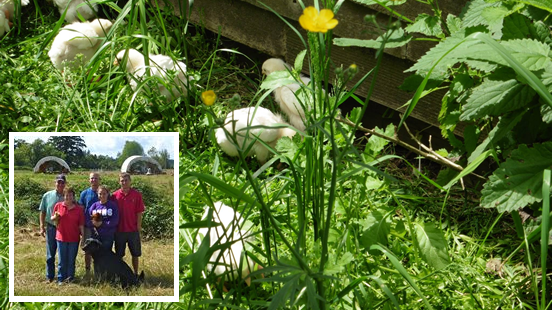 The eggs are coming from Brent and Cindy Rapphun, of Sky Valley Family Farm in Start Up , WA. We are only going to carry eggs from pasture raised chickens(which means the chickens graze on grass freely and their diet is supplemented with organic, non GMO, no corn or soy, feed) because they are the best tasting, most nutritious eggs from responsibly raised chickens. *if you do order eggs, and you want them to remain refrigerated until you get home to your delivery, please leave a cooler out for our driver. 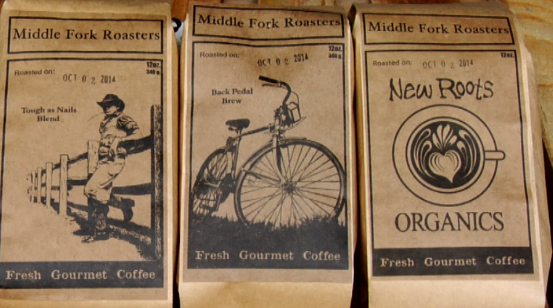 Middle Fork Roasters offers only the freshest high quality roasts available. Back Pedal Brew- which has rich bourbon and molasses undertones that lay the foundation for a sweet floral finish. Tim's Tough as Nails Blend- For those who like it strong. A fine combination of Columbian and Guatemalan bring out a bold smoky tone with a superb spicy finish. Exceptionally bold and smooth.